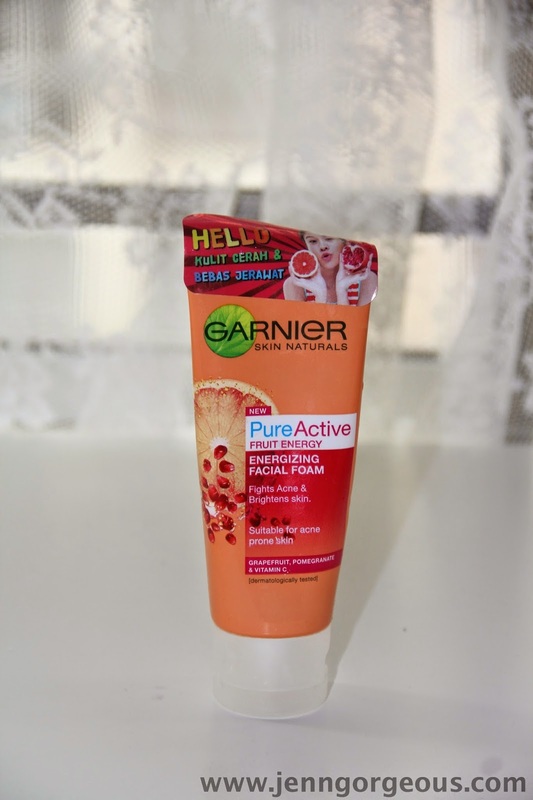 I'm back with Garnier product review. I bought this cleanser few months ago after it is available at the store. I was attracted to it because it is formulated with grapefruit, pomegranate and vitamin C. I have combination skin towards dry. I have blackheads problem. And this cleanser is what they called energising facial foam, so I expected it to make me look fresh after I use it. Here's my review after I tried it from quite some time. How to use : Gently massage on wet face. Rinse with water. Avoid eye area. This is the product packaging. It is in orange tube. I bought the small size 50ml. The 100ml is taller version of this. 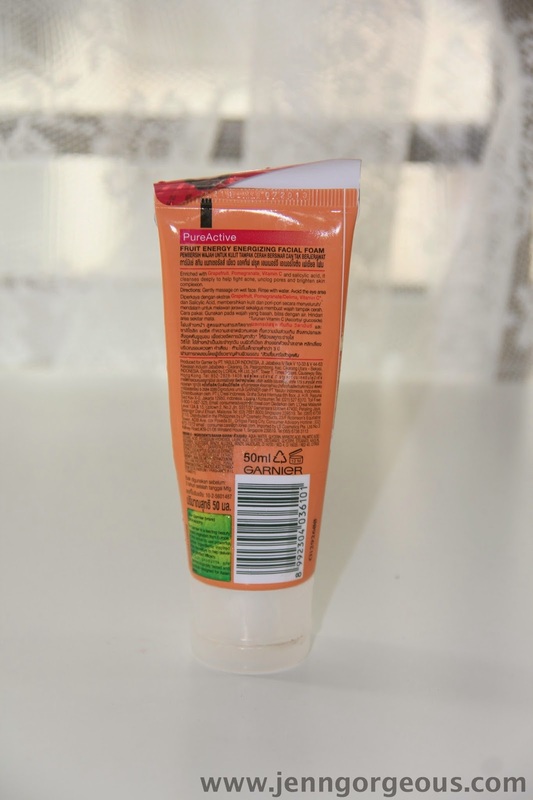 It Is a tube design where you squeeze the product out. The cleanser foam is in peachy colour. Mix it with water and do some circular motion then you get lots of bubbles . I'm actually thinking very hard to point out the con about this product but seriously I didn't experience with any con. But i squeeze out one that probably my skin type is towards dry so this product is targeting acne prone skin, thats why I felt a little bit dry but not tightening feeling. Overal, I really like this facial foam cleanser. It really impressed me with the brightening effect after you used it from the first time. Even my sister told me that she like it so much because it really brighten up her skin. If you used it in the evening after your long day, you go home and wash your face with this cleanser, it will let your face look reenergised. 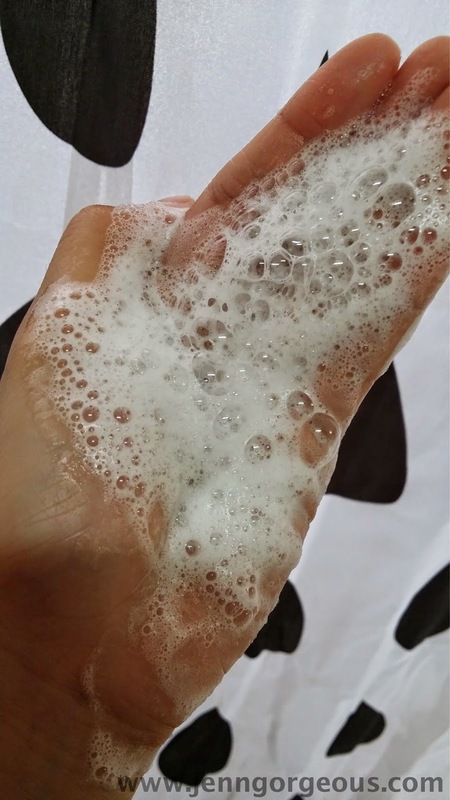 You can easily foamed up the cleanser, it also smell pleasantly. I highly recommended you try this cleanser out, if you have normal to combination skin it suitable for you. 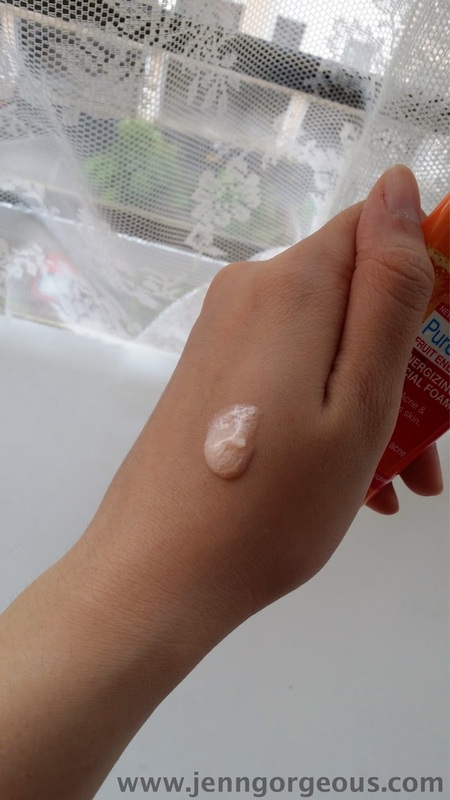 But not recommending for dry skin type because you might feel dry, but you can try anyway. You definitely gonna love the brightening effect after wash. As for drugstore cleanser product this could be the first cleanser that ever let me WOW after I used it. I'm not over rating okay:) Let me know your thoughts on this product. And if you want to request for any product review, please let me know in the comment box down below, i'll try to find the product and do a review for you. Thank you so much for your time reading my blog. Disclaimer: I bought this product with my own money. I'm not affiliated with Garnier. This is my 100% honest review.